‘Do you miss home’ she continued. I stopped and pondered… do I miss home? Home as in my family, my friends, my life? Of course I do… however I do miss something inexplicable, something stronger, that carries my whole life’s memories and which I feel no longer is. I looked at her with intent and said: ‘I miss the season of jam making!’ Now that, to a feminism and gender teacher, must have been close to heresy. For a brief moment I saw in her eyes a string of reactions: surprised, quizzical, and very suddenly cold indifference. This seemingly futile incident, which took place in the autumn of 1978, remained with me throughout my life. Now that I am older, I can begin to understand my reply. 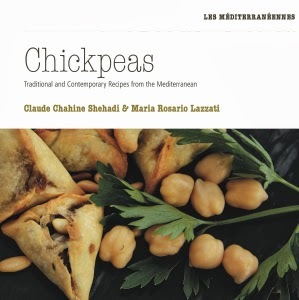 When I was growing up in Lebanon in the sixties, our household lived to the rhythm of seasonal rituals, which, had been handed down, through generations of women; chores, repeated like clockwork echoed in the kitchen year after year. 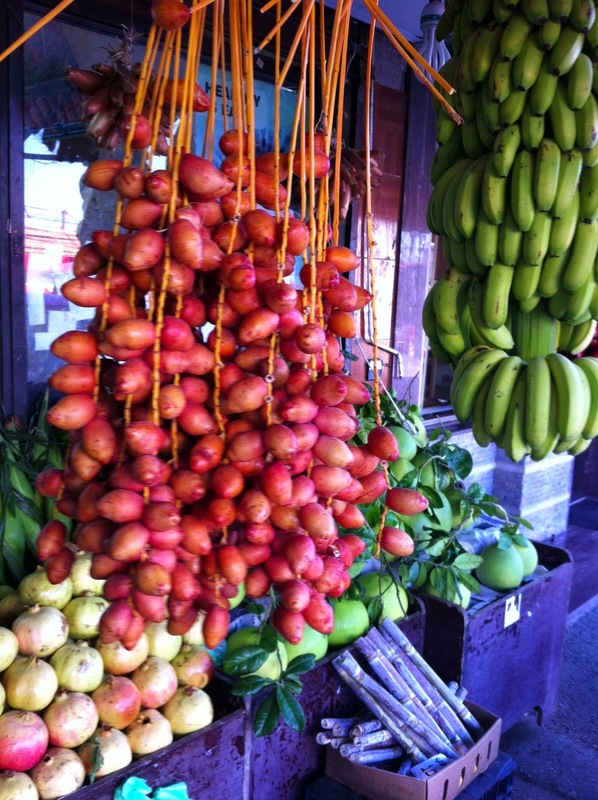 All that we ate had been carefully picked, chopped, cooked and stored at home. My mother with a retinue of helpers, dried vegetables on the sun-drenched roof and pickled olives, baby turnips and cucumbers. They podded peas and beans; picked wild greens and gathered them in bunches; reduced heaps of ripe and juicy tomatoes to a salty paste. These uninterrupted traditions, contributed to a most polished and perfected store cupboard. However my mother’s date conserve superseded them all. 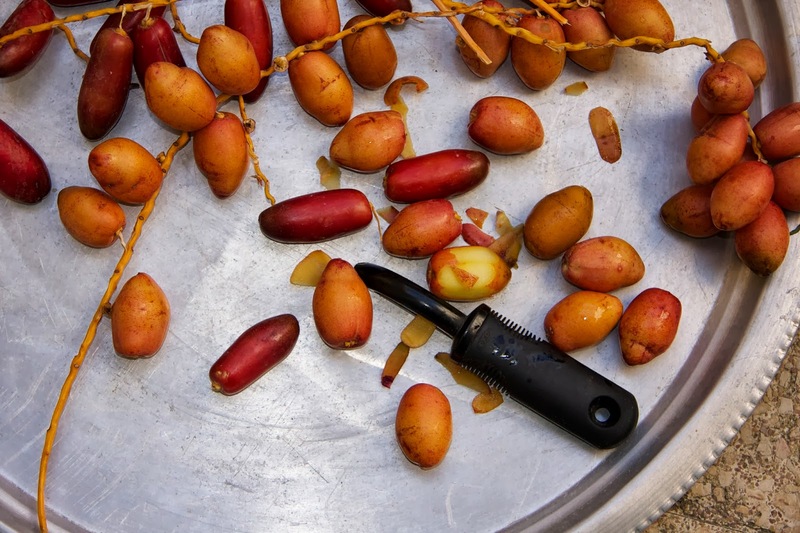 She peeled and poached red dates then delicately scored, stoned and filled them with a clove, a roasted almond and a thin strip of mandarin peel. These were then stewed in syrup ready to be transferred into glass jars. As soon as the aroma of cloves and mandarin floated in the house, I knew that school days were back. Lazy and carefree summer living was out; a new type of energy had filled the house. Before long, the rain will come, the days will become shorter and there will be roasted chestnuts on street corners. The year had gone full circle. If I could re-live my conversation with Daisy on that October morning, I would tell her that what I had missed were those unspoken references – the links to a comforting and reassuring reality - references which no longer existed in the world away from home. As I am in Lebanon now and dates are available in all shapes, colours and sizes, I decided to prepare date conserve with my mother and perpetuate the tradition. This is really my favourite jam. 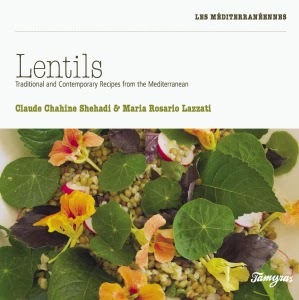 It is delicious on its own but can also add richness to unsweetened mouhallabieh, a type of orange blossom flavoured blanc-mange. There are two types of dates to chose from: the red and the yellow/orange ones. 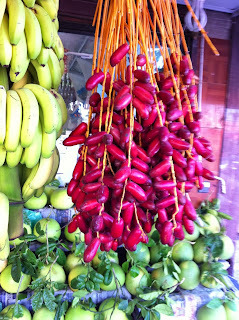 The red ones have an elongated shape, are quite firm and are not as fleshy as the yellow dates. 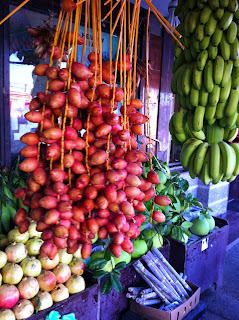 The latter are rounder, plumper and sweeter and when cooked, they are softer. It really is a matter of taste. Both are perfect for this conserve. 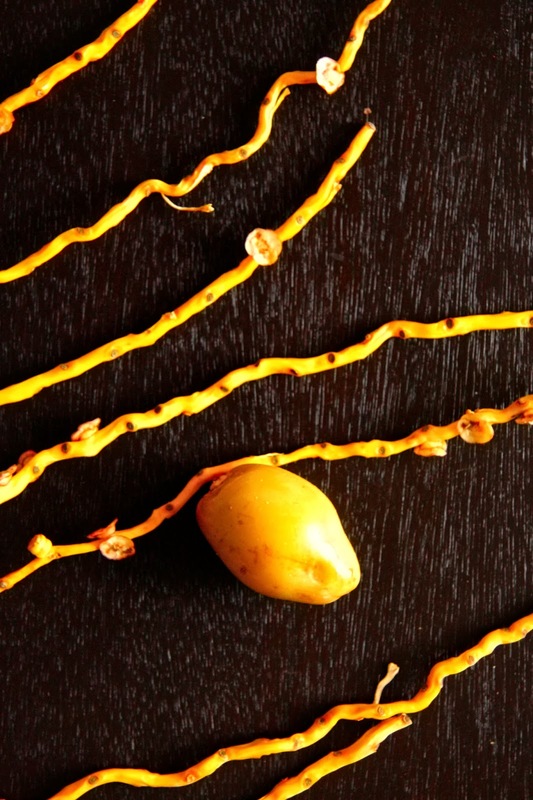 Peel the dates using a potato peeler. 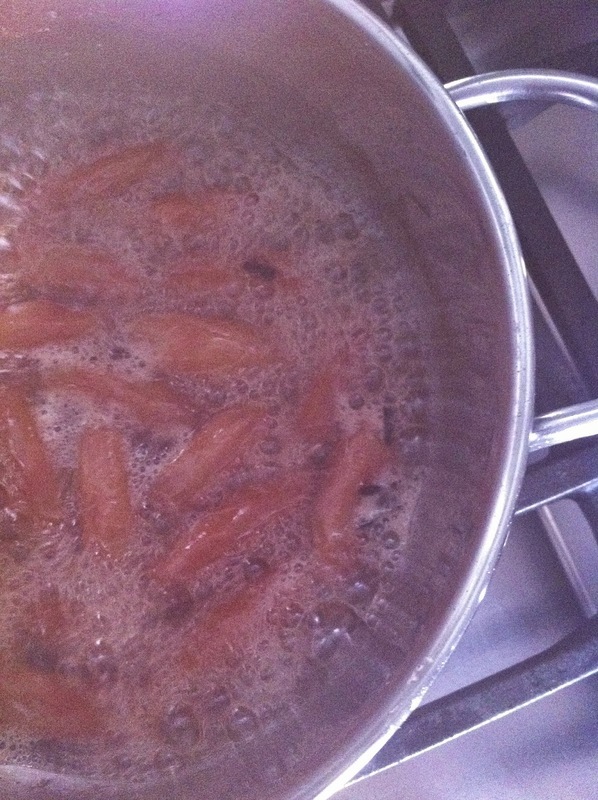 Poach the dates in water until they become softer, but not mushy. Allow the dates to cool before removing the stone; this can be done by pushing it out with a wooden stick or one of the date stems. 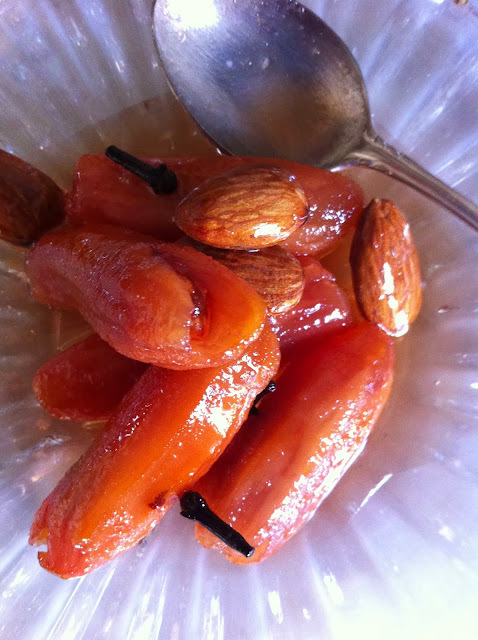 Toast the almonds in a pre-heated oven 180C for 7 to 8 minutes, then place the empty jars in the hot oven to sterilise them. Cut the rind of the mandarin into matchsticks. Fill each of the dates with one mandarin rind and one almond. Repeat until all the dates are filled. 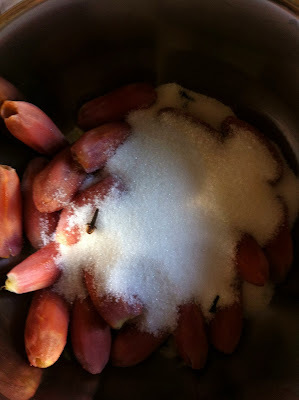 place the dates in a deep cooking pot and cover with sugar. Leave overnight or for a few hours until the sugar is melted. Add 200 ml of the reserved cooking liquid and cook the dates on medium to low heat for about 20 minutes. Stir to dissolve the sugar and once dissolved, add the lemon juice, to prevent the mixture from crystallising. 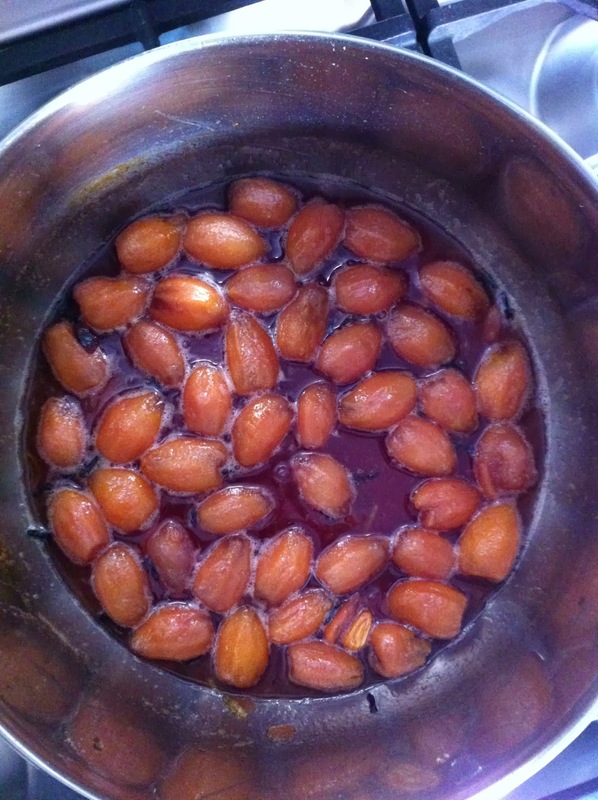 As the dates cook and the syrup thickens, the dates will turn a deep garnet colour. Test the syrup on a cool marble surface. 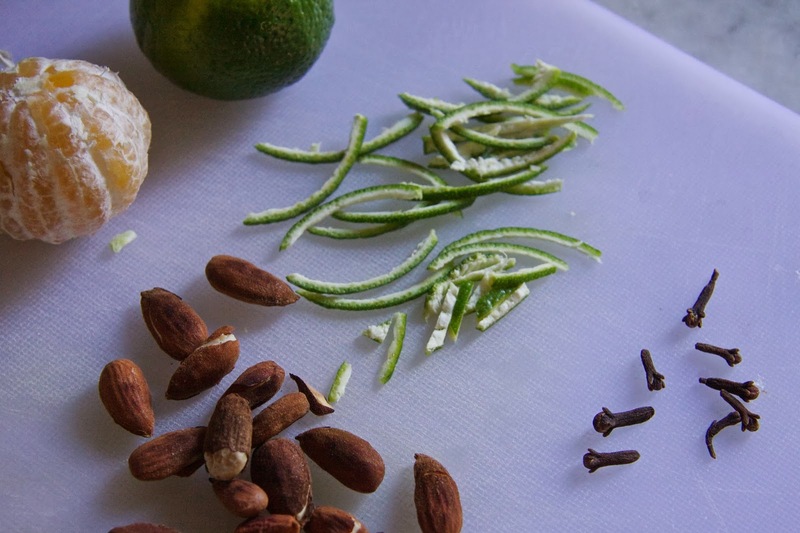 When it becomes sticky, it is time to stop cooking. Allow the jam to cool a little before spooning it into the sterile jars. Add any leftover almonds into the jam. Cover with the remaining syrup together with the cloves. Store in a cupboard, away from light and heat. J'aime beaucoup ton recit Claude, et la confiture doit etre succulente! Mais quel travail!